I love reading seasonal books, especially Christmas books. How about you? 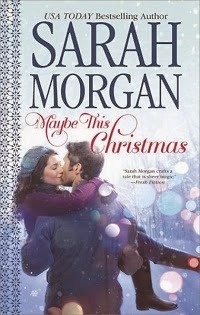 I'm so excited for the release of Maybe This Christmas which is a contemporary romance bool from Sarah Morgan. Here is the scoop on the book below and you can enter to win a $100 Amazon gift card and/or 10 will win her novel. Take advantage of this fab giveaway and follow all of the links! 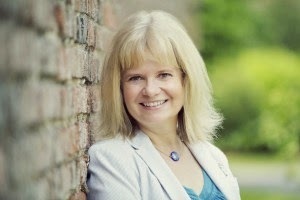 Imperfect Women is excited to be featuring USA Today bestselling author Sarah Morgan this month. Her latest romance novel, Maybe This Christmas, releases October 28th. Book Summary: This winter, ex-skiing champion, reformed heartbreaker and single dad Tyler O'Neil has only one mission—making sure his daughter, Jess, has the best Christmas ever. The fact that his best friend, Brenna, is also temporarily moving into his chalet at the overbooked Snow Crystal resort is a delicious distraction he's simply going to have to ignore. Theirs is the one relationship he's never ruined, and he's not about to start now. Ski pro Brenna Daniels knows all about the perils of unrequited love—she's been in love with Tyler for years. But living with him is absolute torture… How can she concentrate on being his friend when he's sleeping in the room next door? Then when Tyler kisses Brenna, suddenly the relationship she's always dreamed of feels so close she could almost touch it. Could this be the Christmas her dreams of a happy-ever-after finally come true? 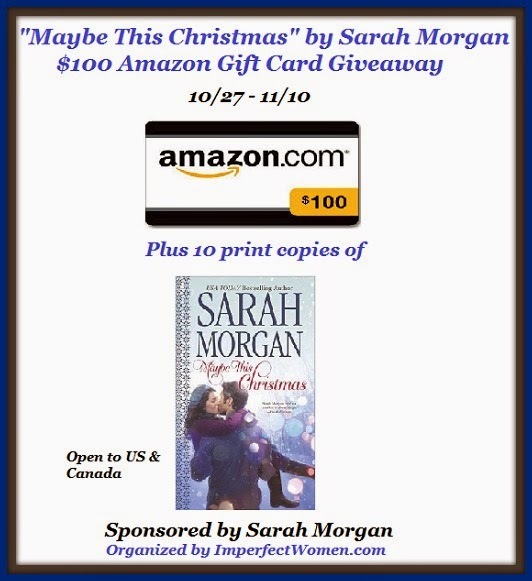 10 lucky readers will win a print copy of Maybe This Christmas. Sweepstakes ends Tuesday, November 10th, 2014 at 11:59pm ET. Disclosure: Imperfect Women and the participating bloggers were not compensated for this post. We are not associated with any of the companies named above. No purchase is necessary to enter. The odds of winning are based on the number of entries received Open to US and Canada residents only. The sponsor(s) will be responsible for product shipment to winner(s) of this giveaway. This event is in no way administered, sponsored, or endorsed by, or associated with, Facebook and/or Twitter, Google, Pinterest. This disclosure is done in accordance with the Federal Trade Commission 10 CFR, Part 255 Guides Concerning the Use of Endorsements. Entrants must only enter with either one email address, IP address and/or Facebook account, anyone found violating these rules will be disqualified. It is at the sole discretion of the admin of the giveaway if the winner has met the rules or not.